For the record, the term ‘turtles’ I use in the tile is an homage to the derogatory term used in the novel Heir to the Dragon by the “redoubtable” Kathleen Heany to describe her tanks and other combat vehicles. Heany, a fierce pro-Skye, anti-Davion fanatic, disdained the use of combat vehicles, and that’s largely how she let Theodore Kurita slip through her fingers. The difference in power between ‘Mechs and vehicles was never particularly high in practice, and it only became less pronounced with the more advanced technologies. If a 100-ton tank face a 50-ton ‘Mech on a level playing field (terrain), more often than not it would be the ‘Mech who would be going down. Sometimes, it seemed like the only advantage ‘Mechs had were the heat sink options and the ability to jump around terrain obstacles. Oh, sure, it can be easier to get a critical hit on a vehicle, but ‘Mechs are supposed to be the kings of the 31st century battlefield, and the 32nd century thereafter. 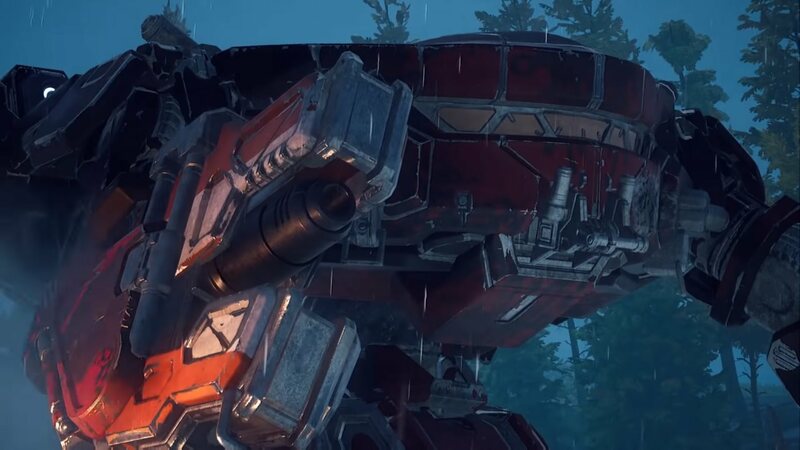 Based on the concept material, the novels and many other canon texts, a single ‘Mech should be able to paste a lance of similarly sized vehicles. That’s rarely the case in my experience. 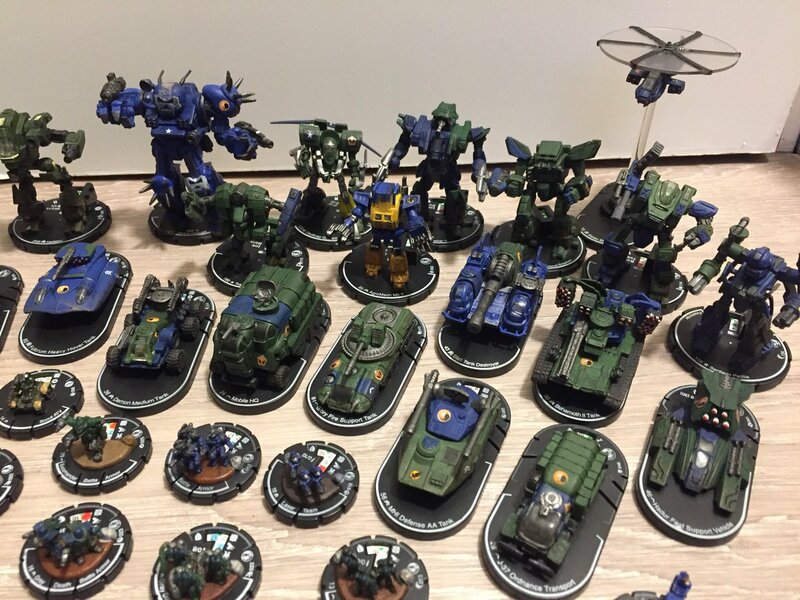 MechWarrior: Dark Age from WizKids attempted to remedy this unfortunate state of affairs, and we all know how that ended. 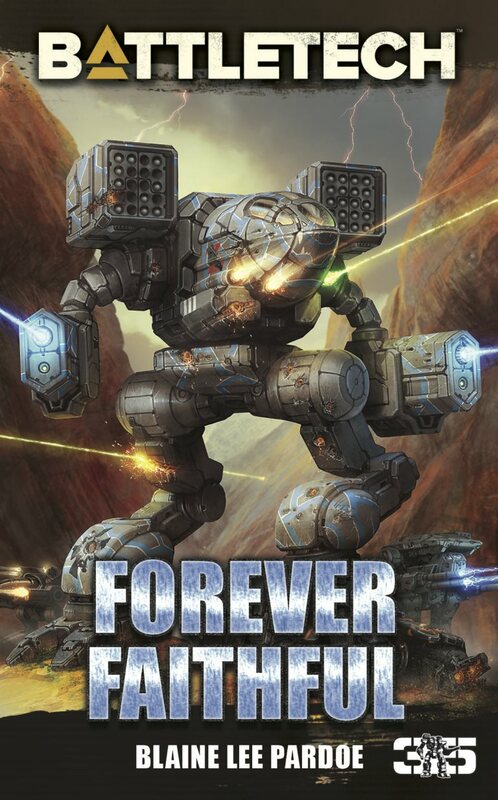 So now that I’m done with my “’Mechs should be Kings of the BattleField” rant, we can proceed. Because of the relative size of weight spectrum for different vehicle types, I decided to choose four tracked vehicles, four wheeled vehicles, three hovercraft and three VTOLs. This seemed a fair breakdown as neither the hovers or the VTOLs can weigh over 50 tons while the sky was the metaphorical limit for these other machines. Originally, VTOLs didn’t really interest me. I probably didn’t appreciate their speed and I certainly their potential vulnerabilities. All that changed with the Yellow Jacket, a Gauss Rifle-bearing strike chopper that can worry even Clan ‘Mechs if the terrain is favorable. I could easily imagine a lance of these babies fighting off a raid. Because there’s a relatively low ceiling for VTOLs (50 tons) I offer the top three, each with a different function. The Shun, from the Capellan TRO, is fast, very difficult to hit with its stealth armor, can spot for artillery, and can drop three battle armor squads behind enemy lines, bug out, then return to pick them up when the job is done. The implications are obvious. My only problem with it is that a Targeting Computer is waster on a pair of Magshot Rifles. The Skadi, a 30-yon Clan-tech VTOL from the Clans TRO, was designed to swoop in and sting opponents with an Ultra Autocannon-10, swoop out and repeat. No, it doesn’t have the range of my beloved Yellow Jacket, but with its speed, it doesn’t need to. It only has two tons of ammo for its ultra, but that’s probably sufficient for a unit that wasn’t intended to stay in battle for long anyway. I didn’t want to like the 25-ton DI Multipurpose VTOL from the Lyran TRO. The name says it all – It’s good at many things but not special for anything. It comes with a four-ton infantry compartment for standard or battle armor ground-pounders, TAG and a Beagle Probe for reconnaissance and artillery spotting, and a Light PPC. It is plausible that it could hold off an enemy at range with its sole gun while it performs its task. The armor and speed are reasonable for a unit of its size. Do I wish they’d given it a proper name? Sure. But at least its name fits its purpose. I’ve always had mixed feelings about the hovercraft in BattleTech. On the one hand, the idea of something incredibly fast swooping in, firing shots on a target and swooping out – was thrilling to me, especially in packs. On the other hand, most the scenarios I play in – MegaMek or the tabletop game itself – are rather terrain heavy. So they have a hard time making full use of their superior speed. You’d need a huge map with minimal terrain to really show what massive hovercraft formation could do. I remember during the Battle of Wolcott in Lethal Heritage, the Genyosha threw flocks of Savannah Masters at the Smoke Jaguars in the swamps, only to have them scatter when the Clanners turned on them. It looks good in the fiction, and good in theory. Not so much in practice, though. Nevertheless, there are some designs here that bare serious consideration. Leading off my trio is the 40-ton Scapha from the Republic of the Sphere Technical Readout. The Scapha is a 40-ton OmniVehicle that takes advanced weaponry to the natural extreme of its class. This machine boasts a double extra-light engine that allows a movement profile of 11/17, with 7.5 tons of reflective armor and 13 tons of pod space. That is pretty impressive, in and of itself, yes? What is even more impressive are the offered configurations. Each one has an actual idea in mind, a concept and plan, and it equips itself for that purpose. We have a dedicated reconnaissance version with a supercharger for extra speed. We have three dedicated “sniper” types with a long-range weapon for picking a foe apart. We have variants with TAG for artillery spotting and variants with C3 Masters and C3 Slaves. We even get an artillery variant. I could honestly see a lance of Scaphas, each with a different variant, causing havoc on an enemy’s flank or behind the lines. It can conceivably do pretty much anything imaginable; your only real limitations are the 13 tons of pod space. 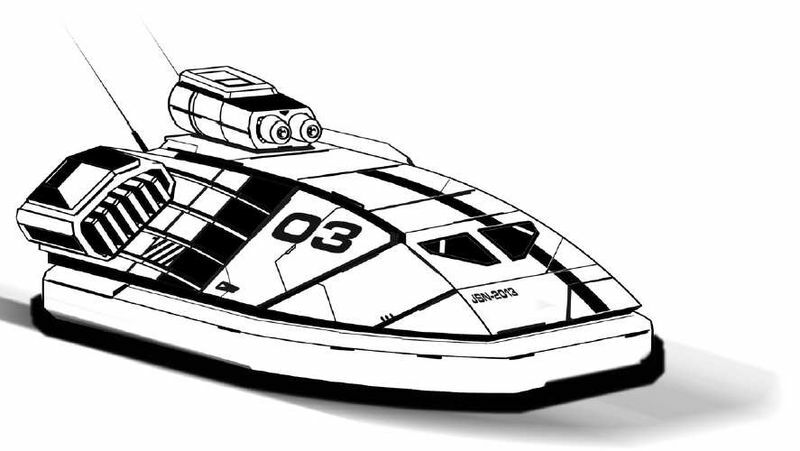 I decided I wanted to have at least infantry transport hovercraft, again for conceptual reasons as much as practical ones. The idea of dropping a detachment of infantry – or better yet, battle armor – behind enemy lines, then carry on harassing a bit, then swing back to pick up the infantry is exactly what battle armor was intended to do. Remember the old Headhunting Elemental Stars during the initial Clan Invasion? 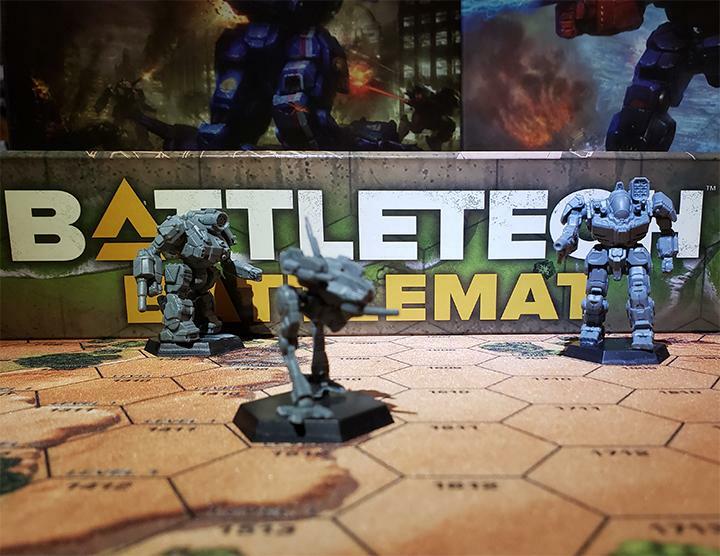 Rolled their opponents’ Mobile HQ while the ‘Mechs were away? With a top-of-the-line hovercraft, that’s possible again. I gave the Davion JI2A1 the edge over the Steiner Winterhawk, simply because the 3145 era so greatly emphasizes battle armor units, and it has nearly double the armor rating of the Lyran vehicle. The JI2A1 is as fast as a Fire Moth, and while its SRM rounds won’t last long, again, they shouldn’t have to. I had to choose the Hadur from the Clans TRO, simply because it provided the one thing I look for the most in any new unit Catalyst Game Labs puts out for the fans: something new. Putting an Arrow IV on a fast, 50-ton hovercraft? Actually giving it enough rounds that it can hang around for a while? That’s what I’m looking for. This Hell’s Horses machine can keep up with the modern battlefield and still dish out pain from multiple map sheets away. Yeah, the armor is light, but so what? It’s a fast vehicle that doesn’t intend to directly engage the enemy regardless. 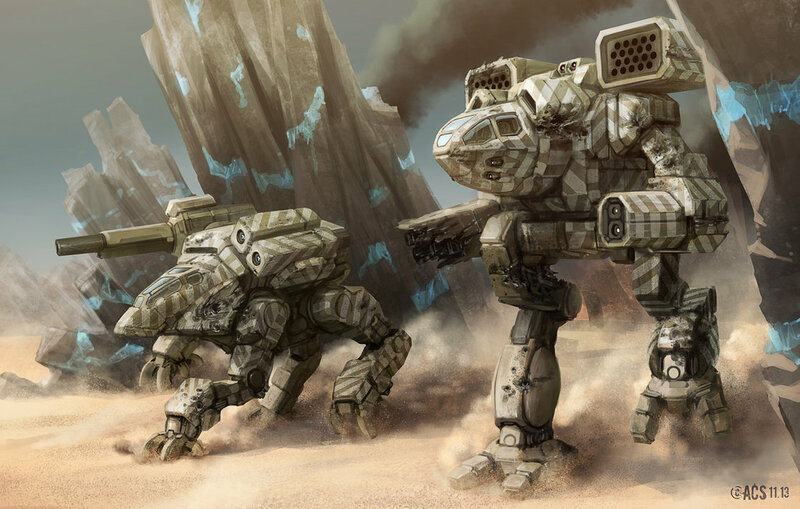 Wheeled vehicles get a bad rep in the BattleTech universe: They have serious movement restrictions, they have a lower weight cap compared to tracked vehicles, they lack the speed of hovercraft, etc. It is rough, but we can find a few gems. …. It took me awhile to shine to the Shandra Advanced Scout Vehicle, a 25-tonner courtesy of the Republic. Yeah, it looks like a dune-buggy, but it fulfills a role I usually give to small hovercrafts. But its speed (8/12) and the Guardian ECM would make it the ideal vehicle to break up a C3 network, especially in a full group with supporting units. It also excels as a fast striker against infantry, spraying enemies with its machine guns and small lasers before bugging out. The R10 Mechanized ICV, from the Marik TRO, is a nice solid APC OmniVehicle. The speed is adequate for its role as a wheeled transport, and the configurations each offer something different. (I am particularly fond of configuration B, that carries both a Guardian ECM and a Beagle probe, and a LB 10-X, which is perfect in an infantry versus infantry battle.) It weighs 45 tons, which is heavy for its role, but it has a purpose: To deliver and then support infantry units in the field. Best of all, it actually has a role that isn’t commonly filled by many other units. I chose it over the Liao Zahn Heavy Transport because of its versatility. We need one heavy bruiser to round out our trio, and I’ll take the DI Schmitt from the Steiner book. Not so much because it’s essentially an assault tank, more because of its anti-aircraft capability. We are no longer in the era of the Rifleman; it is absolutely appropriate to feature a unit with ideal capabilities for taking down VTOLs, conventional aircraft, and low-flying aerospace fighters. It is very slow, especially for a non-tracked vehicle, but since it relies it relies on long-range weaponry, it is not such a major concern. If it engages as part of a fixed defensive position, speed isn’t an issue. If it’s in a column, they probably go to ground anyway. It also has some short-range stuff should some battle armor or light ‘Mechs get too close. Now we come to the beasts of the vehicle class, tracked vehicles. Or as they are more commonly called: Tanks. First, I decided my “ideal command” needed a work-horse heavy tank. One that was well-suited to different roles, but the main thing was it could hold the line, as a heavy tank should. I looked at five candidates before selecting the Sekhmet from the Kuritan TRO. True, it depends on Clan tech, but two large pulse lasers are reasonable long-range weapons that won’t run out of ammo, the SRM launchers are ideal secondary equipment, and the AP Gauss Rifles will keep enemy infantry off its back. It also carries 267 points of armor, by far the most among tanks in its class. It’s a strong defensive machine, but can hold its own attacking, picking at an enemy at long range with its highly accurate lasers. Originally produced by Clan Nova Cat, the Sekhmet has been sold to every major faction, so it is not unexpected to see it on both sides of a battle. Next, I decided I should have at least one “light” mobile tank, by which I mean a tank in the 50-ton weight class or less. I had five options to choose from in the TRO 3145 series, and I was mainly interested, as I’ve said before, in a design that could justify itself, and its class. A design about which a player could say “This configuration of equipment is useful if not unique, and is well suited in a light-to-medium tank.” I very nearly took the Capellan Predator, but in the end, I couldn’t do it. Short-range units with poor armor are not a good combination, even when they possess above average speed. So instead I went with the Shillelagh from the Draconis Combine Technical Readout. The Shillelagh uses a trio of Multi-Missile Launchers, making it dangerous at long and short ranges. It possesses just enough speed to keep its distance when performing the former and to close when pushing ahead with the latter. Oddly, the vehicle has a poor reputation with House Kurita, as its admittedly awkward appearance apparently leads to it flipping over when driving out of ditches. As this can’t be represented well in the rules, I pass this “weakness” off. True, it is ugly, and not in a good way, but it’s a solid model. As a “special” choice, I decided my unit needed the Savior Repair Vehicle. I know it’s almost a completely unarmed support unit. I also know that the Savior is, itself, an homage to the repair vehicles from my beloved (though non-canon) Mech Commander PC games of so many years ago. Guess what? I don’t care. This baby is awesome just for its potential. Of course, a dedicated artillery unit is necessary. In the early post-Clan Invasion TROs, they, the developers, seemed reluctant to release units carrying the (then new) Arrow IV. Even the Padilla was long since out of production up until the time the Word of Blake revived the design. Seven tracked vehicles of the 3145 era are dedicated artillery units, and I decided I preferred the Arrow IV to the Sniper and Mortar. The Arrow IV Assault Vehicle from the Capellan Confederation Technical Readout (no creative name again? Really?) can not only carry the big gun, it can also haul all the ammo it will need in the field with its trailer hitch. The 80-tonner is slow, but not as slow as some of the other artillery units. No, it will never be the Naga, running around with not one but two Arrows, but then the Naga was rarely deployed properly, was it? Twin medium variable-speed pulse lasers and anti-missile systems are solid short-range protection. Truly, it’s the armor of the Arrow IV Assault Vehicle that gives it its real defense. 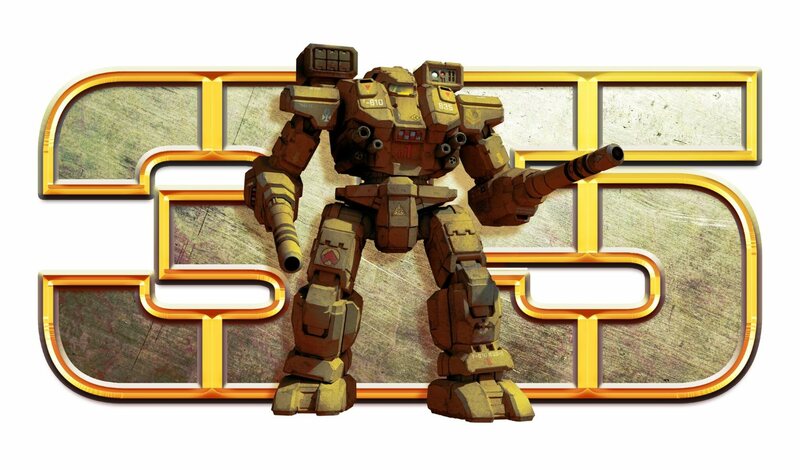 13.5 tons of heavy ferro-fibrous armor provide this vehicle with more protection than most assault ‘Mechs. Bottom line: It uses top-of-the-line technology to do its job well. True, it is not a game-changer, and in practical terms, the difference between one of these guys and any other off-board Arrow IV artillery unit is minimal; but still, it represents a new standard for this new era. This brings us to the super-sized tanks, the big boys of the brave, new world. Also, these are units that wouldn’t have been rules-legal pre-Jihad, but that’s neither here nor there. 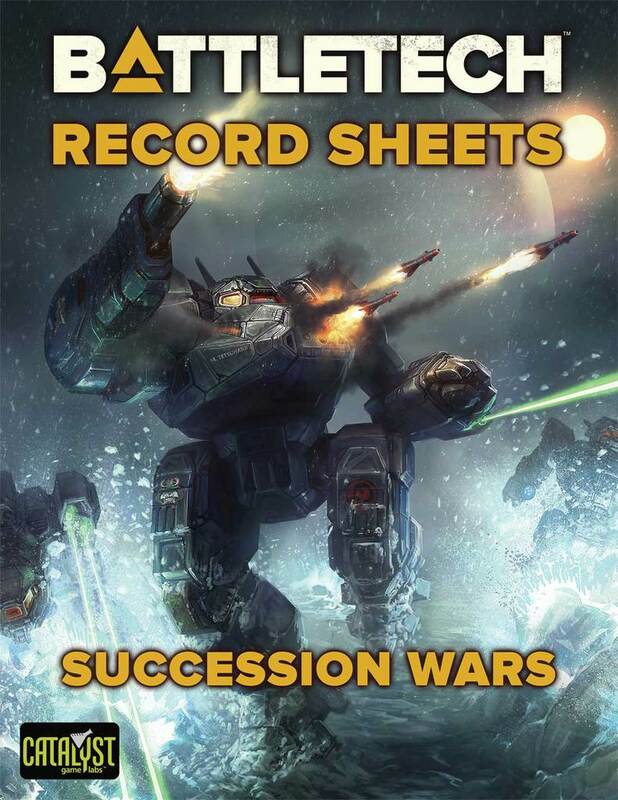 Our only options are the 130-ton Paladin and the 200-ton Destrier from the Davion TRO and the 190-ton Gulltoppr Omnimonitor (OmniVehicle) from the Steiner TRO. Obviously, all three of these vehicles are specialized, though the Paladin is something of an extreme example of artillery vehicles. By definition, the Gulltoppr is more versatile, and its configurations feature plenty of equipment that would be totally impractical on most ‘Mechs. These include twin Long Tom Artillery pieces, sufficient Boosted C3 Master units for a full company, and other toys. Its role is plainly defense, and I could see it well-suited to protecting DropShips, as in the example provided. The Destrier, by contrast, relies on a trailer hitch and fixed artillery cannons. Its personal protection is more impressive than that of the Gulltoppr, with anti-missile systems and light machine guns to deal with infantry at close range. It has an infantry compartment, though it will never be a real transport. Still, give me the Gulltoppr, which is clearly designed to deal with heavier opponents. So that’s my offering for this time around. Do you disagree? What are your favorite “turtles” from the 3145 era?